Surrounded by some of the world’s most productive seas, the U.K. generates more electricity from offshore wind than any other country. Developments over the last 12 months suggest a promising future for the U.K.’s leading green energy sector. In 2016, capital spending commitment reached recorded levels, and the cost of offshore electricity fell by nearly a third in four years. Alongside this prevailing success, the operation and maintenance (O&M) of wind farms has the potential to form an industry worth $2.5 billion annually by 2025. Hindered by “primitive” methods, there is a lack of consensus on how best to maintain these high valued assets. To ensure a sustainable future, the industry must embrace innovative O&M strategies and a digital monitoring approach. Research groups from five U.K. universities have been awarded a $5m grant to create novel "human-robotics hybrid solutions” which will not only propel the growth of the U.K.’s market, but strengthen the its position within Europe for generations to come. "The U.K. government has set ambitious decarbonization targets, increasing the present 5GW generated by offshore wind farms to 40GW by 2050. The costs of achieving these targets have, until now, focused on the capital outlay for wind turbines, but budgets have largely ignored the operation and maintenance of wind farm assets including subsea cabling,” explains David Flynn, director of Herriot-Watt's Smart Systems Group (SSG). "By integrating technologies, such as autonomous underwater vehicles and advanced sonar technology, we will gain new insight into the condition of these subsea assets." Not only will an improved O&M strategy help increase the lifetime of the underlying U.K. offshore wind asset base worth $149 billion, but also see benefits in reduced running costs to tax- and bill-payers. The new research grant is made up of $3.7 million from the U.K. Engineering and Physical Sciences Research Council and a $1.2 million contribution from Dong Energy, Siemens Wind, GE Energy Solutions, Scottish Power Energy Networks, the Offshore Renewable Energy Catapult, Hydrasun, Nova Innovation, British Approvals Service for Cables, JDR Cables and the European Marine Energy Centre. The Holistic Operation and Maintenance for Energy from Offshore Wind Farms (Home-Offshore) team will include scientists and engineers from Manchester, Warwick, Cranfield, Durham and Heriot-Watt universities. Over the next three years, Home-Offshore will create an advanced holistic model of offshore wind technology (OWT) infrastructure, using previously inaccessible data from advanced sensing technologies, and robotic and autonomous systems. In addition to reducing the O&M costs, which influence the final cost of energy to the public, they also aim to reduce the risks associated with human intervention and inspection. “To date, we have no consensus on how to monitor and maintain these assets. The time for a consensus in now. Given the growing influence of OWT in our national energy infrastructure, we want to develop a prognostic model that treats the OWT as a holistic asset. We will create advanced sensing technologies, models of the OWT system, and a hybrid human-machine means of undertaking O&M, with a focus on reducing costs. This can also enhance the future design of next-generation systems,” states Flynn. To better predict the remaining useful life (RUL) of wind farm subsystems, such as gearboxes and generators, an innovative ‘fusion prognostics’ approach will be taken. Combined monitoring methods will be used alongside innovative sensor technology, robotics and autonomous systems. The project will enable a new capability in human interaction with the remote and relatively inaccessible parts of offshore sites. Within the final six months of the project, there will be an exhibition of robotics and autonomous systems, working with engineers to deliver the next generation of offshore asset management. At present, most asset management is still undertaken manually on site. Flynn explains, “Currently the monitoring of cables, for example, focuses on internal ‘health’ parameters, mostly electrical - an effect called partial discharge (PD) that occurs when the dielectric material begins to degrade. “The data on cable failure over fifty years indicates that 70 percent of failures are based on corrosion, abrasion and third party impact. Therefore, the failures work from the outside inwards which are undetectable by current PD monitoring and internal fiber optics methods. Offshore infrastructure is inherently complex. Consequently, maintenance is expensive and potentially dangerous since often human intervention and inspection is required at present to manage this complexity. 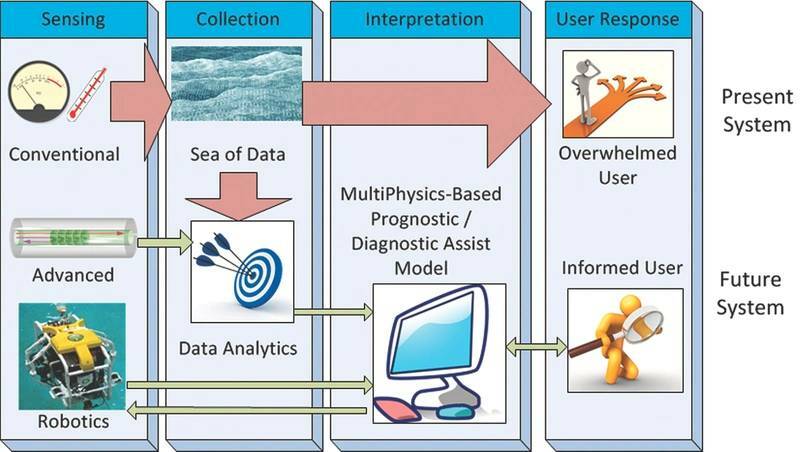 Another problem is that, at present, monitoring tends to have a specific subsystem focus as opposed to understanding the holistic health of the entire offshore wind technology system. Also, the state of the art technology of today still suffers from regular false alarms. 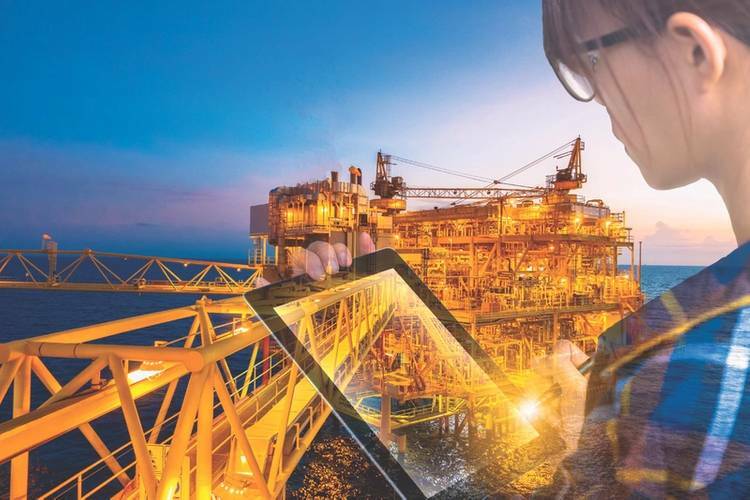 According to the Crown Estate, typically, 80-90 percent of the cost of offshore O&M stems from the need to get engineers and technicians to remote sites so that they can evaluate and take remedial action. Minimizing the need for human intervention offshore is an essential route to maximizing the potential, and reducing the cost, for an offshore low-carbon generation. This will also ensure potential problems are picked up early before significant damage has occurred and when maintenance can be scheduled during a good weather window. “A significant element of the cost and risks in offshore asset management is the deployment of engineers. Robotics with embedded (human) intelligence will be able to remotely inspect and communicate information back to their human colleagues. The collaborative effort between remotely autonomous vehicles and humans will safeguard the security of supply, and deliver energy that is more affordable,” said Flynn. While aspects of the techniques required in this offshore application have been previously used in other fields, they are new for the complex problems and harsh environments in this offshore system-of-systems. ‘Marinizing’ these methods is a substantial challenge in itself. Low frequency, dolphin inspired sonar, that will enable acoustics with color is just one example of the innovative solutions the Home-Offshore team will develop over the project's lifetime. 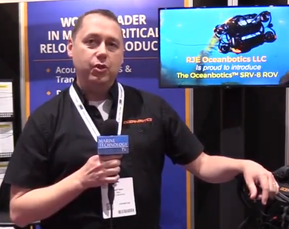 “Continuing the cable example, for OWT that is far from shore such as in the case of the larger 10MW devices, a remotely operated vehicle (ROV) typically is fitted with a camera and visual inspection is performed. This provides very limited insight to sections of cable that are visible e.g. the cable circumference in contact with the seabed is concealed. Another challenge is the remote and dangerous environment of high voltage substations. With the use of drones undertaking a coordinated inspection, O&M managers can reduce the need to place people into these dangerous situations. 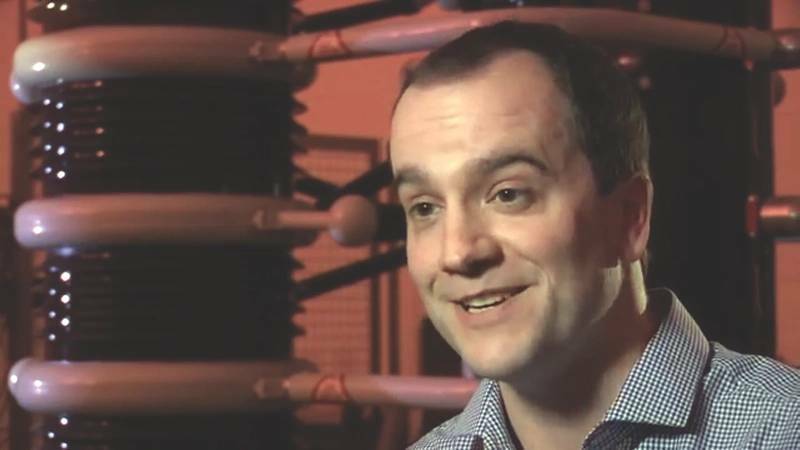 “Although beneficial, operating remote autonomous systems in such a hazardous environment, be it subsea or within a high voltage substation, will have significant challenges. And, with the data that these systems return to us, there will be problems in converting that data into actionable information. Technically there will be a trade-off between computational efficiency and accuracy,” explains Flynn. Once developed and tested, the applications for these systems will go beyond that of offshore wind farms. Other offshore energy sectors will have similar complex environments and the associated challenges with maintenance and monitoring. 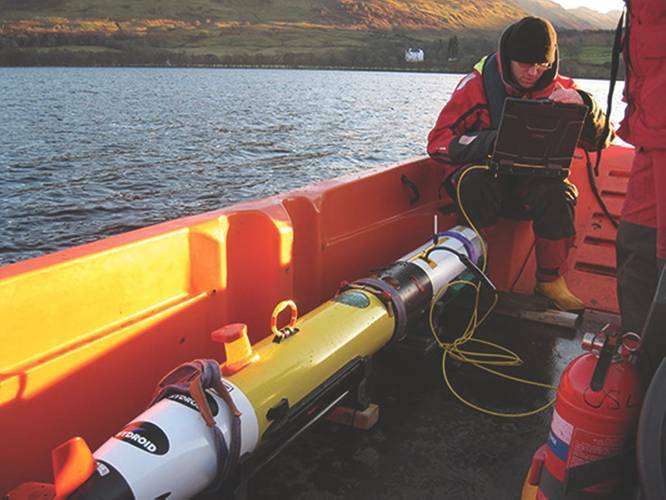 The oil and gas industry, as well as wave and tidal, will also benefit from a new generation of offshore technology and new methods to monitoring the U.K.’s existing subsea infrastructure. Fusion Prognostics will support the digitizing of offshore wind technology - not only providing a prognosis on the current health of the OWT system, but allow managers to understand how these assets age under varying loading conditions. “Resilience and sustainability are critical to our energy system in the U.K. There must be a global adoption of prognostics into energy systems and significant shift in policy. We need to place emphasis on vendors delivering technology and services based on lifecycle economic drivers, as opposed to short-term 'boom and bust' construction,” said Flynn.